Boston Bat Removal specializes in humane removal and exclusion of Bats and Squirrels in the Greater Boston Massachusetts area. We are located in Boston and provide expert bat and squirrel removal with fast response times. 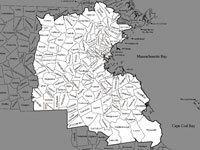 Our service area for both squirrel and bat removal in Massachusetts includes all cities and towns inside of Route 495. This includes the cities of Brookline, Cambridge, Watertown, Charlestown, Somerville, Belmont, Arlington and all of the Greater Boston area. If you're located in this area and you call us before noon we can usually provide service that same day. Our business hours are from 7am till 6pm Monday through Saturday. We don't provide service on Sunday but we do answer the phones. If you're reading this in the middle of the night because you have a bat in your house you can leave us a message and we'll return your call at 6am.